We are ranked amongst the most trusted firms deeply engaged in offering a wide range of Card Based Access Control System. Designed to efficiently, effectively and economically meet the security needs of most businesses. 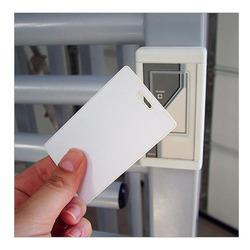 User can access a secured area using Card Readers, Finger-print Readers, Proximity Readers etc. We undertake installation of Access Control System, which enables an appointed authority to control the access of restricted areas and resources. The product is widely used in a given physical facility or a computer- based information system. The system use physical key management and other authenticating information like passwords, smart cards etc. Good exterior, LCD with four lines display, digital keyboard very convenient to input numbers. Its transaction storage can reach 50, 000 records; can be hung on the wall; developed on the basis of Windows & Linux platform, create the benefit in the enterprise administration. Advision experience in designing and manufacturing superior access control systems and solutions, providing the very latest innovation with an unrivaled product range. ASECard Crypto for Microsoft ILM is a high performance smart card providing full support for Microsoft ILM including RSA and optional ECC supported Minidriver. 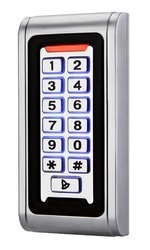 We are offering Card Based Access Control System as per the customer requirement and specifications. These products are highly effective and well acclaimed and appreciated for their design and quality. Global Aykya Solutions Pvt. Ltd.